Glad to mention that Malaysia will be participating in Pair Go World Cup 2010 in Hangzhou, China after finishing second in Asia selection held yesterday. Suzanne and I, as the Malaysian pair completed four matches yesterday with 3 wins against Indonesia, Phillippines and Vietnam and a loss against Singapore Team 1. The tournament was actually held online on IGS as there was not enough time to organize it in the meat-world. It was my first time playing Pair Go, and it was a great experience. I normally am very reserved in my game, prefer strategic to tactical fight. But Suzz was the complete opposite, and it seemed our combined style yesterday followed her more. We kept asking for fight when we were already leading against the Indonesian, and we put ourselves in great danger against the Vietnamese pair. I almost wanted to resign, until we managed to counter-attack with a squeezing sequence. Luck maybe, because I didn’t see it at all when reading 5 moves before. After the selection round, the next stage will be held in Hangzhou in March 21-23 where 8 professional pairs and 8 additional pairs from various geographical regions will compete. I’ve never been to Hangzhou, so quite looking forward to this. Hopefully we could do well there. Few weeks back, Malaysia Weiqi Association (MWA) held its AGM. I could not attend, but I was made understood that I was elected as Exco member, and tasked with creating teaching materials in Malay. Not having much time for dedicated work, I set up a blog so that I could write little by little until my work is complete. If you notice, I bought an internet domain! It’s not solely for that Malay Go blog, that would be overkill. I just felt like having one. Impulse buying, what else. 🙂 I have several vague ideas of what to do with it, although everything is being discouraged by the fact that I need to do my thesis proposal first. Ultimately I want to be an Internet or technology entrepeneur, so having an internet domain and playing around with it seems like a logical first step. Anyway, my attempt at downloading ProText using corporate bandwidth had failed. It was a superbig executable with estimated download time reaching 2 hours. Probably it’s against policy, but I need LaTeX. I just learned it has Go package along with Shogi, Chinese Chess, Chess packages to create high-quality diagrams. LaTeX has steep learning curve, but it’s necessary for anyone who aspires to be budget self-publisher. I seriously need more than 24 hours in a day. I am scared. Is this the furthest I could go with my Go? My results in international tournaments have been extremely bad. Within Malaysia, it’s still OK, but new young players are rising rapidly and I am beginning to lose every few games to Alex, Suzanne and Ming Sui. Is it my style? Too calm and unaggressive? Is it the pure lack of technical knowledge? 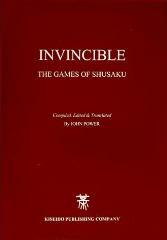 Or is it my fighting spirit, that I am afraid to give all in tournament so that I would not risk knowing my limit? Or lack of experience in real-life games? I dont know. There are just too many variables. Perhaps all of them, perhaps I’m just affected by work and studies and a little time management would solve everything. I remember vividly of Mr. Chow’s advice during Korat SEA Games after my three defeats in a row, that I should not want to win too much . Well, I tried it and got two wins the next day, and a 0.5 points loss against Zhang Xiang of Singapore. That’s probably my best performance ever. That however confused me even more. Where exactly is the boundary separating wanting to win, and wanting to win so much? I am inclined to believe that the answer is in super-improving my reading capability … who cares about feeling, spirit and stuff-like-that. If I can outread my opponents, I will win. Yea, I think that is the best thing to do. Train, train and train my reading ability. 2009 is going to be a very busy year. My sister commented that all Go pictures look the same; two people facing each other with a board in the middle. I guess she thinks Go is very boring. Haha, what to do, this is all action there is to Go. Except for those who understands the board, of course ! My last opponent, Patchara played Tengen as opening, effectively putting me in “KGS Blitz mode” and making me overplay a lot ! Anyway I apologize to Singaporean and Thailand(er?) friends as I had to leave so abruptly. I really needed to paint house. Well, if anything I guess I achieved the true meaning of the tournament, strengthen relationship with Singaporean and Thailand players. 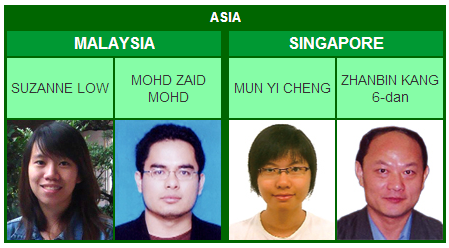 More pictures are available on Malaysia Weiqi website. … I need to rethink my Go studies strategy. Excuses are not going to bring result ! – Time allowance of 60 minutes per player. Sum of top three player’s ranking from each country will form the Team’s result. fellow readers are welcomed to know the go lifestyle of Xinwen and/or fellow go players may allow to learn from Xinwen’s games of go.